California investment properties have performed very well over the long term compared to most other real estate markets. One of the advantages of owning California investment property is the strong appreciation potential across property types. Investors still need to do their homework to make sure they are not paying an excessively high price for a property. But California investment property bought at a fair price and without excess leverage can yield superior investment returns for years to come. There are many good reasons to Invest in Commercial Real Estate in general. Here are the main factors that make California a great place to buy and hold investment property. Demand for California Investment property has been strong for decades and shows no signs of slowing down. The strong buyer demand consistently drives real estate prices higher over time. Property values can still decrease in the short term due to recessions or macroeconomic fears. Real estate markets everywhere are still cyclical in nature. But strong demand over the long term will cause higher price appreciation. 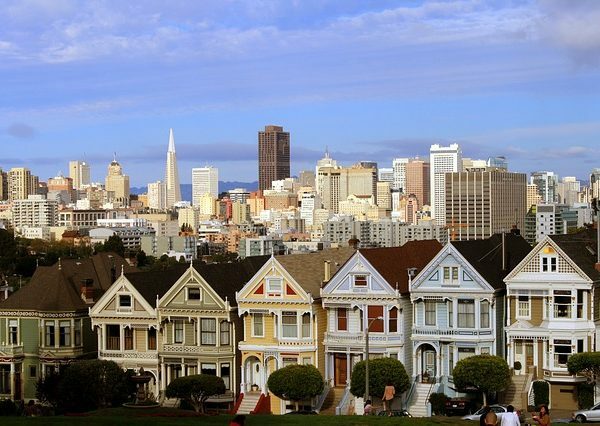 California’s desirability as a place to live and work drives the strong buyer demand. The population of California is projected to increase by over 300,000 people per year over the next couple decades, according to the Public Policy Institute of California. The higher population will increase demand for both residential and commercial properties throughout the state. The large number of high paying jobs in California also increases buyer demand and property values. Investors want to own property in markets where people want to live and where many large businesses are located. Favorable demographic trends will continue to drive property demand and price increases on all types of investment real estate. A lack of new construction across all property types is another main factor causing strong price appreciation in California real estate assets. There is very little land available in the large coastal markets to build new supply that meets demand. Population density, restrictive zoning regulations, and geography all plan a role in the limited amount of new property supply coming to market. The low supply trends only show signs of continuing. Population levels and density are increasing in most cities. Zoning regulations remain very restrictive and time consuming, severely limiting meaningful new supply. Geographic barriers will always constrain the ability to build new product. For example, the large California cities such as Los Angeles, San Diego, and San Francisco have no more vacant land or area to expand. These cities are geographically surrounded by ocean, mountains, government land, and country borders. San Diego has the ocean to the west, Camp Pendleton to the North, national forest to the east, and Mexico to the south. There is nowhere left to build large new developments. New supply must come from infill development on smaller land parcels. Zoning regulations in California also contribute to the lack of new supply. New construction of any property type is notoriously difficult to get approved. The entitlement process can take several years or more adding significant cost to new projects that happen to get approval. Cities also charge new projects high impact and building fees, furthering adding to new construction costs. The already high labor and building material costs raise the price on new construction and cause existing property values to increase. California’s supply constrained market may not be good for the overall state population, but the policies mean property investors will see strong investment returns over time. California investors can save significant money on property taxes when buying and holding properties. The California tax law titled Proposition 13 limits property taxes to less than 2% annual increases for all property types. Property taxes only increase significantly when there is a change of ownership. Property taxes are reassessed to just over 1% of the purchase price when a property changes ownership. In most other states property taxes increase regularly in proportion to the appraised value. Many other states have property tax rates consistently reassessed at over 2% of the property value. Proposition 13 results in property taxes that overtime are significantly lower than 1% of the property value. Property owners experience tremendous tax savings when holding property over long time periods. The large property tax savings are a unique and meaningful advantage to California real estate investors. Owning investment real estate in good locations is one of the best long term investments one can make. California investment property can provide consistent and increasing investment returns year after year. Real estate investors want to buy where fundamentals like supply and demand are favorable. All signs point to strong property demand and low new supply in California markets. Investors still need to do their research when buying to make sure they are paying a fair price for a property. But overtime the advantages to owning well located California investment property greatly outweigh the risks.